Service Schools - Ryan Company Inc.
Service Schools are available at the factories listed below. Fulton offers training throughout the year on all of their products. Please contact Ryan Company to schedule. Powerflame offers training only once a year usually in April. Please contact Ryan Company to schedule. Bryan - Please contact Ryan Company to schedule. Burnham - Please contact Ryan Company to schedule. Aldrich Company - Please contact Ryan Company to schedule. Ryan Company will occasionally host service schools locally in our territory. These sessions typically last 2-3 days and cover a particular product line in a comprehensive manner. Check our Calendar of Events to find upcoming Service Schools. 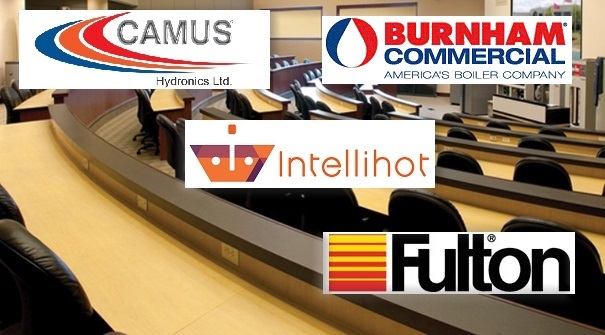 Ryan Company hosted Service Schools for Fulton Boilers in August 2012. For the Fulton Pulse Boilers service school, 16 technicians attended. For the Fulton Vantage Boilers service school, 11 technicians attended. To see these lists go to our certified technicians page. For more information or to sign up for any of our upcoming local service schools contact Jesse McMonagle.